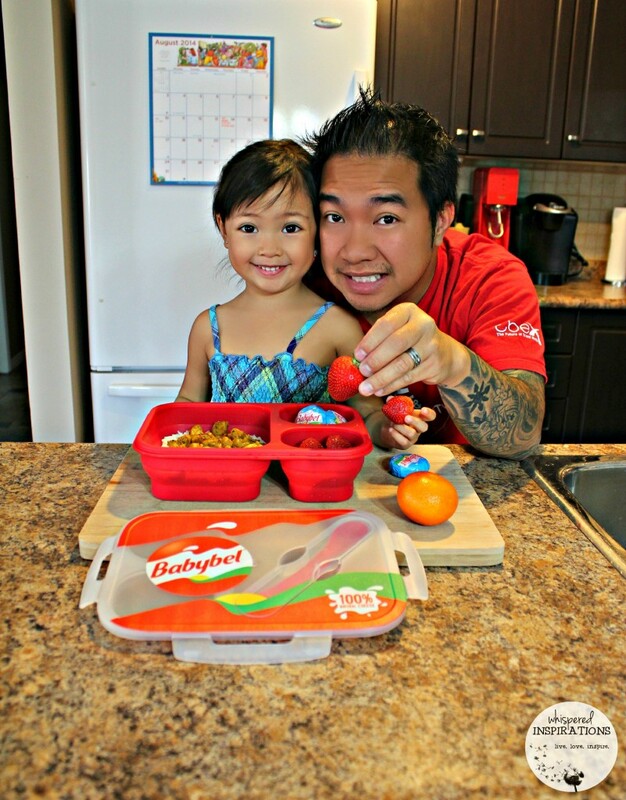 You are here: Home / Product Reviews / Babies & Kids / Mini Babybel Cheeses: School is Back, Pack Up Some Fun with Mini Babybel! 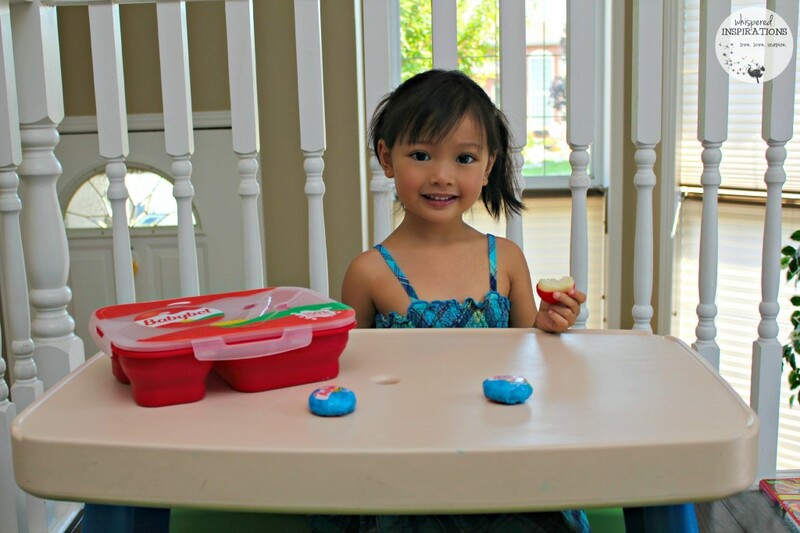 Mini Babybel Cheeses: School is Back, Pack Up Some Fun with Mini Babybel! The second hectic week of Back to School is well underway and that means it’s back to packing lunches season. To celebrate a new school year, Mini Babybel® challenges you and your kids to pack up some fun. I was sent a Snack a Little Bigger Back-to-School Kit from Babybel himself. 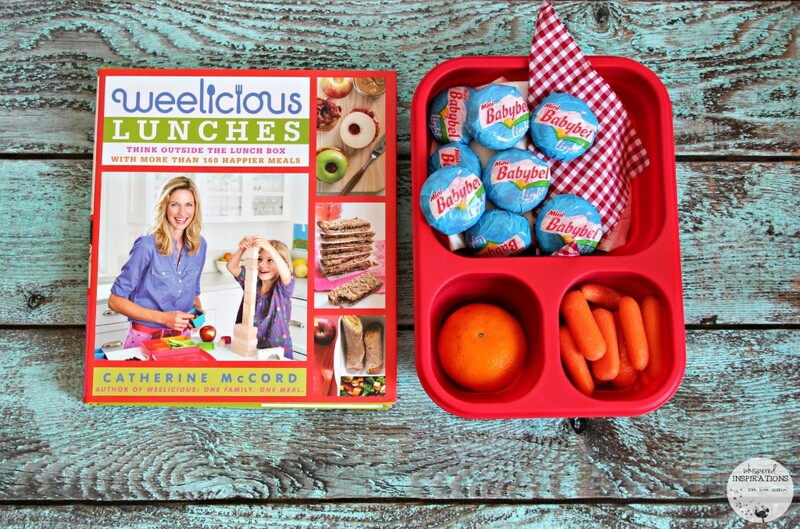 It included our favorite Mini Babybel flavor, a copy of Weelicious Lunches by Catherine McCord and a bento lunch box! Mini Babybel is 100% natural cheese with the rich and creamy taste that cheese lovers of all ages adore – making it the perfect choice for lunchtime for the whole family. Each small but mighty serving of Mini Babybel delivers 5-6 grams of protein, plus 15-20% of your daily calcium needs– all for 80 calories or less! Pull the tab, unwrap the red wax, and you’re ready to enjoy this little cheese with “huge” appeal. Pick up Mini Babybel at a grocery store near you – Try their product locator for an easy fix! The girls absolutely love Mini Babybel cheeses, Mimi especially loves snacking on Babybels. She loves that she can open the package by herself and remove the wax on her own. It is a staple in our home and I have them readily accessible in our fridge, along with other healthy snacks that the kids can just grab and go. I am so happy to have Weelicious Lunches, there are so many delicious and nutritious options in the book that will keep me fresh with ideas for a long time! I made a quick and light lunch to take with me to work and of course, I brought a Mini Babybel. I made a delicious, crisp and fresh salad made with organic romaine lettuce, croutons, and cheese. Topped with 3 slices of turkey bacon and a side of seedless grapes to finish it off. Now that both of my girls are in school, making lunches has become a complete family affair. We strive to feed our children wholesome, healthy and tasty meals. Balance is of utmost importance and meals require fruits, veggies, protein, and dairy. 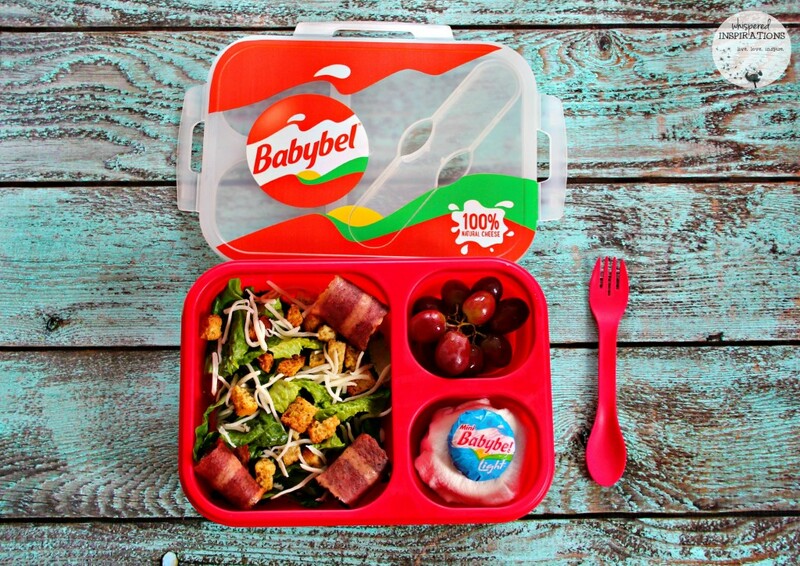 That’s where Babybel comes in and its versatility and portability makes for an easy lunch option. You can find some Babybel snack ideas, here. Do you love Mini Babybel Cheeses, if so, how do you like to eat them? 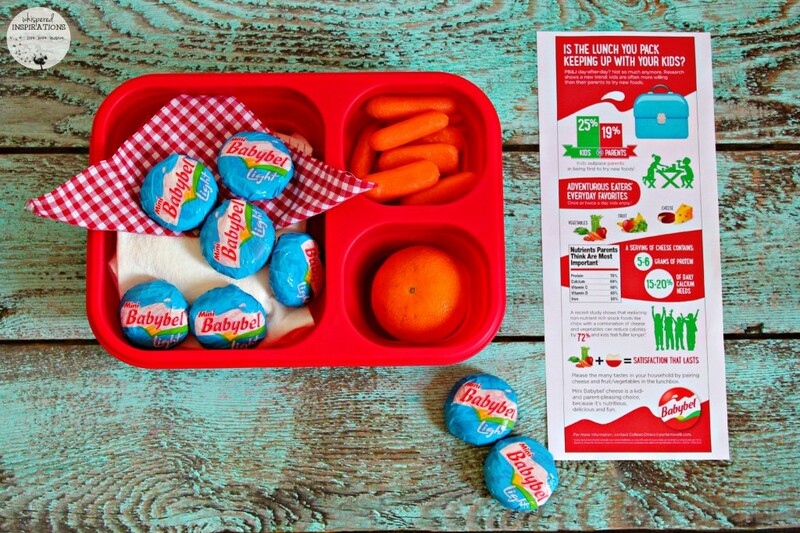 Oh Babybel are great for travel & school! My girls love it with grapes/crackers/salad in their lunch at school. Their awesome to grab n go for my teen when she's got limited time between school and ending and work starting. We love Babybel, great to keep in the fridge for snacking on. I find that they appeal to all ages which is great! I like the container.my girls liked taking this cheese to school too. We always have Babybel in our fridge,its a great snack for anytime of day. I love babybel such a great cheese snack!!! you know what else I really like? your lunch container, how awesome is that!! It is pretty nifty! LOL. I love Babybel cheeses too! Honestly, I have to say that you have the most beautiful family! Thanks so much Victoria. 🙂 You are the best! We love Babybel for School and weekend hiking ! Such a great snack! My kids love them!